Girl Scouts of Tropical Florida (GSTF) volunteer trainings and materials help you deliver a safe, fun and successful Girl Scout experience. Our on-demand resources allow you to access the information you need, when you need it. The term “21st Century Learning”, generally refers to a certain set of core competencies or skills such as collaboration, digital literacy, critical thinking, and problem-solving. We believe that these core competencies are needed to aid learning in the modern era. Today’s learners desire 24/7 access to learning resources that they can review at their own pace and when they need it. Content is also delivered in smaller units, called “chunking”, which is easier to access. Having this control improves understanding, resulting in a 25-60% improvement in learning retention over traditional, instructor-led learning experiences. How is Girl Scouts of Tropical Florida’s Volunteer Training Program adopting 21st Century Learning? GSTF offers learning resources online. We are in the process of repackaging in-person trainings so they are more meaningful and productive. · Offer an improved, positive volunteer experience. · Provide a broader delivery of our Girl Scout programming. · Offer volunteers the resources they may not seek out on their own or even know to look for. 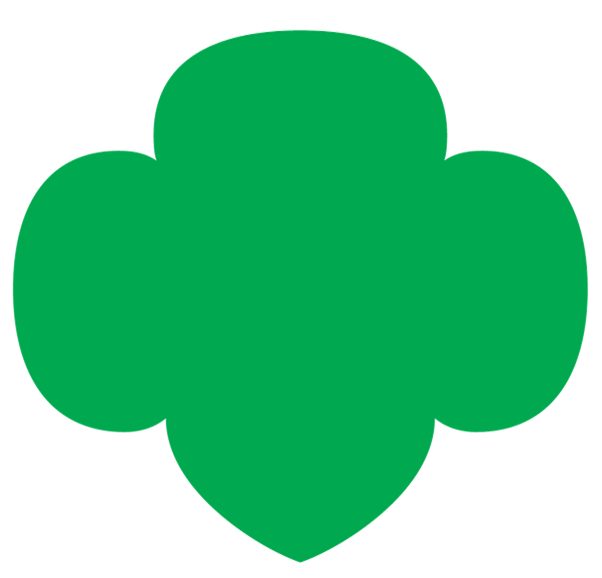 · Utilize content which may be produced by other Girl Scout councils around the country. · Create meaningful connections between educators and volunteers. · “Use our resources wisely” by delivering more content with less financial cost. · Increase the number of volunteers accessing required training and enrichment resources. · Create more dynamic content that can be updated quickly and easily. The biggest benefit is that, by offering information via online learning resources, volunteers will be able to use their in-person training time more efficiently. Rather than spending most of our in-person time on information sharing, we can spend that time on higher-level thinking and discussion. Will Any Trainings Be Offered In Person? At the moment, we are delivering the majority of our learning resources online. This does not mean that we are replacing in-person mentoring or training. In fact, we can actually enhance the value of future in-person mentoring and training sessions by meeting the needs of volunteers right when they need it through online accessibility. GSTF is looking at the entire Beyond the Troop curriculum, to determine how to best offer courses to ensure they are accessible to volunteers who need them. Which Girl Scout trainings are required for volunteers? All volunteers must be registered and complete a background check (the link to our background check vendor will be emailed to you after registration). Girl Scouting 101 (select our council, Tropical Florida to register) introduces new leaders to Girl Scouts, the history, tradition and resources available to you. This a required training you must complete prior to your first troop meeting. Find out about how Girl Scouts started and the life of our founder, Juliette Gordon Low by watching this group of videos and downloading the interactive book. There are specific trainings for Fall Product and Cookie volunteers. Find the online trainings here for Troop Cookie Managers and Service Unit Cookie Managers. Contact our Troop Support team for specific role trainings. For many activities, Girl Scouts recommend that at least one adult volunteer be First Aid/CPR certified. Review Safety Activity Checkpoints for more information on these requirements. You can pursue certification through various resources such as local community education, your local fire department or community center. You can look online for trainings offered by the American Red Cross, the National Safety Council, and the American Heart Association. Where Can I Find A List Of Upcoming Trainings offered by GSTF? You can find our volunteer classes, trainings and enrichments listed on the Training page or Event Calendar of our website. Do I Need To Retake Volunteer Trainings Like Girl Scouting 101 & New Leader Orientation If I Have In The Past? No, you do not need to retake the leadership classes (Girl Scouting 101 & New Leader Orientation) once you've had them. If you’ve bridged to the next age level however, it is recommended that you review Girl Scouting 101 for the information on the new grade level with which you’ll be working. There are also Girl Scout 101 Refresher videos for you to access. Be sure that you're using the current year's version of the Volunteer Essentials guidebook and Safety Activity Checkpoints. These resources are updated every summer by GSUSA and GSTF and can be found on our website under forms. What Training + Preparation Do I Need to Take My Troop Camping or Traveling? Begin by reviewing the Safety Activity Checkpoints for Girl Scout Activities and the Outdoor Progression chart to ensure you and your girls are properly prepared. A great place to start is to watch the Venture Out! video. Learn practical tips and tricks, read other volunteers’ stories, and explore the joys of taking girls outside with Venture Out!, a fun, interactive “outdoor” adventure made possible by GSUSA’s Elliott Wildlife Values Project. If you’re going camping for the first time, we recommend you take our Basic Camping workshop. You’ll find dates for these workshops on the Training page or Event Calendar of our website. You may also want to check out these informative videos. Each video includes helpful tips that can be used when planning outdoor adventures. Be sure to visit our online support site to find new resources specific to traveling with your troop.